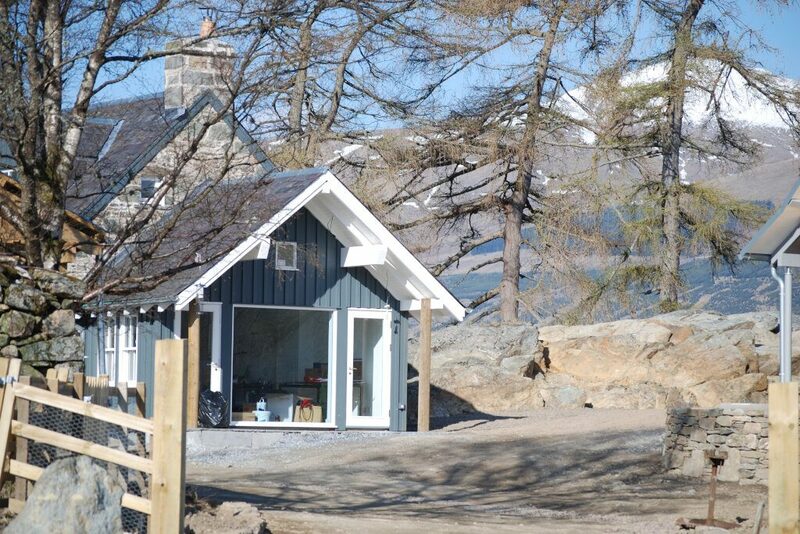 Sky Cottage is a beautiful one bedroom cottage with stunning views over Loch Tay, only 2 miles west of the charming conservation village of Kenmore. 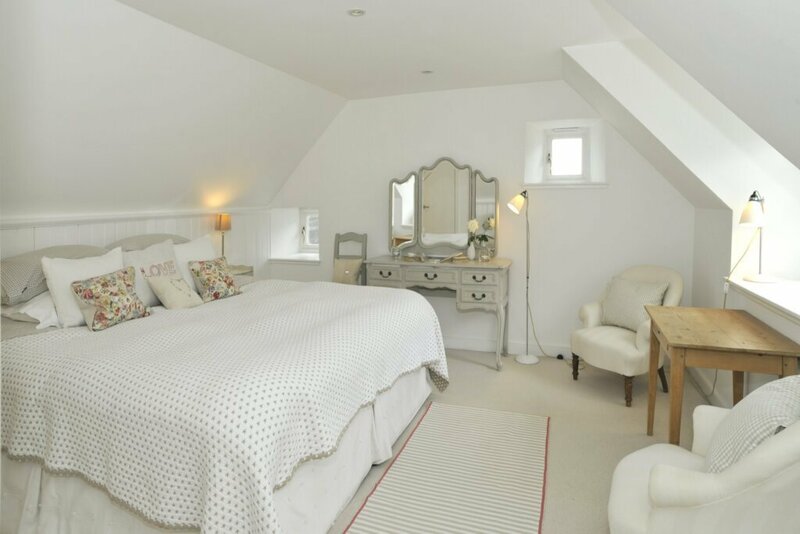 Right in the very heart of highland Perthshire, this lovely cottage offers exceptionally comfortable and luxurious accommodation for couples looking for a special treat. 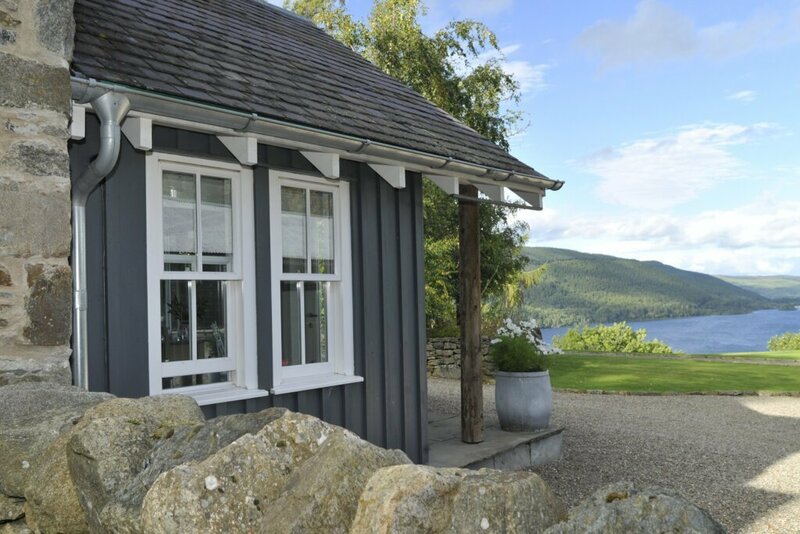 Upstairs, the spacious king bedroom faces south and has carefully positioned windows so you can lie in bed and watch the sun rise over Loch Tay. 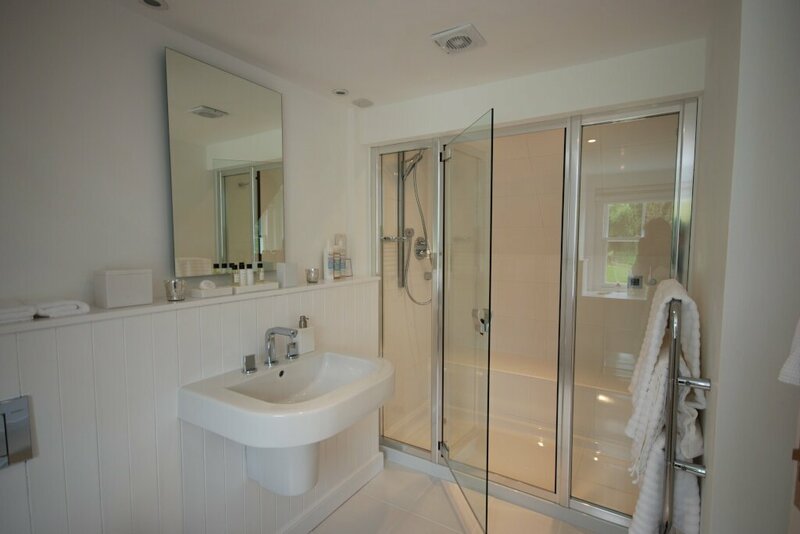 There's a lovely bathroom with under-floor heating and a walk-in steam room and shower. The living room has a log burning stove, comfortable sofa and chairs. 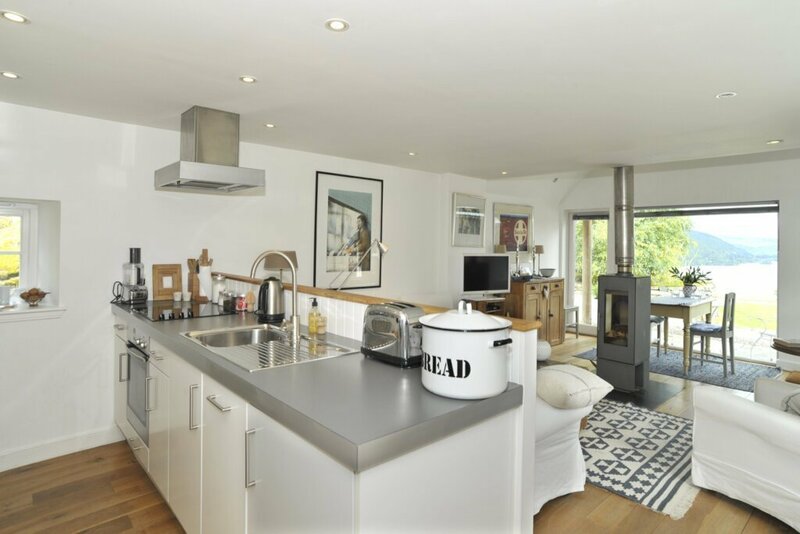 There is wifi, a TV, DVD player and hi-fi with blue tooth connectivity plus plenty of books and DVDs.The kitchen is white and modern with deep work surfaces and soft close drawers, Neff hob and oven, fridge and dishwasher. The cottage is also equipped with a Hoover, a washing machine, ironing board and iron. 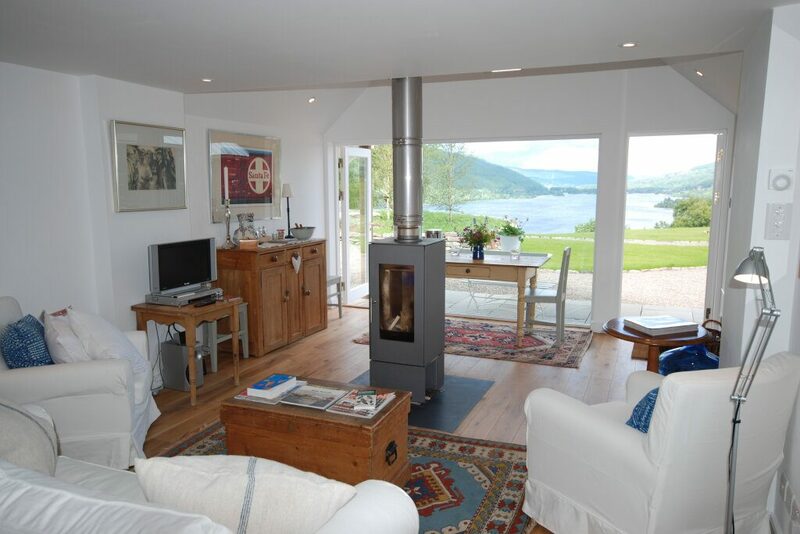 Located on the shores of Loch Tay Sky Cottage is close to the village of Kenmore and well placed to explore all the landmarks of Loch Tay and beyond. Sky Cottage is an incredible bolt hole in a patch of Scottish paradise. The views over Loch Tay are phenomenal. 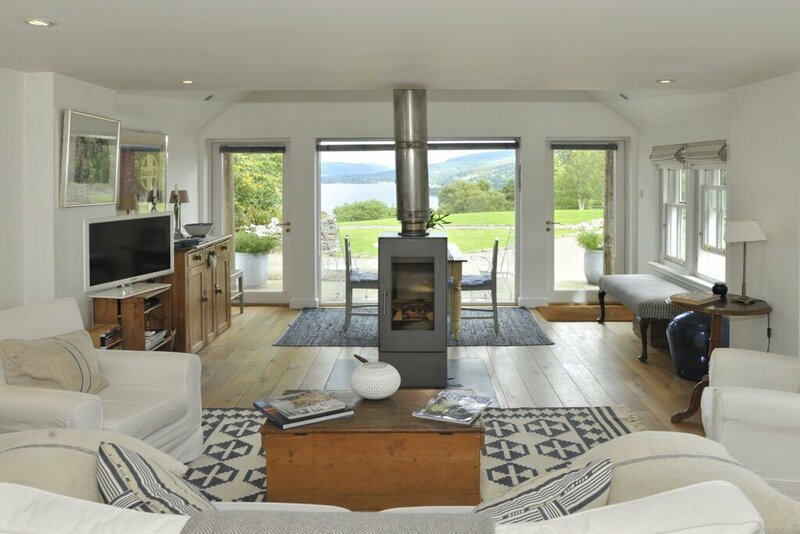 The cottage has been decorated beautifully and the wood burner adds to the overall cosy and luxurious feel of it all. Definitely a place to return to! Sky Cottage is perfectly located overlooking Loch Tay - what an absolute joy to wake up to that view each morning. And it is also very peaceful, surrounded by greenery and nature. 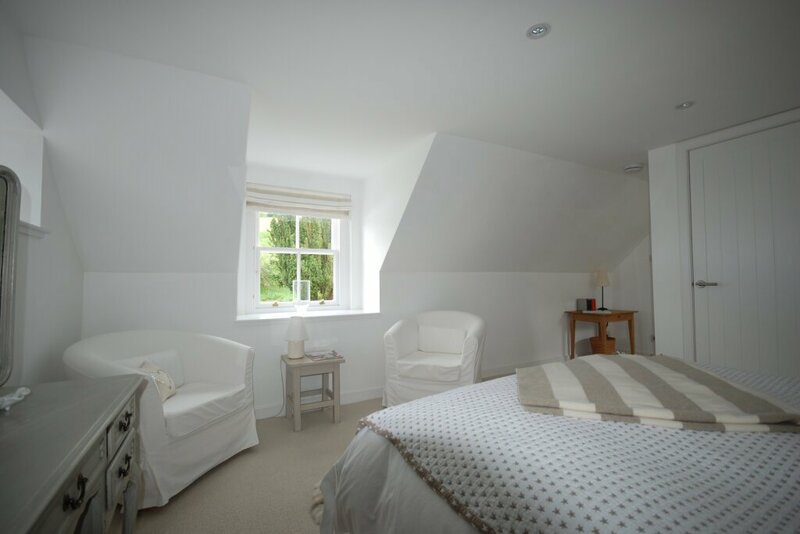 I loved the interior of the cottage too - modern, bright and light and super cosy. The large shower is amazing and don’t get me started on the bed. Wow. So comfortable, i was out like a light each night. Nina was very prompt with her communication and gave detailed information and directions to the cottage. 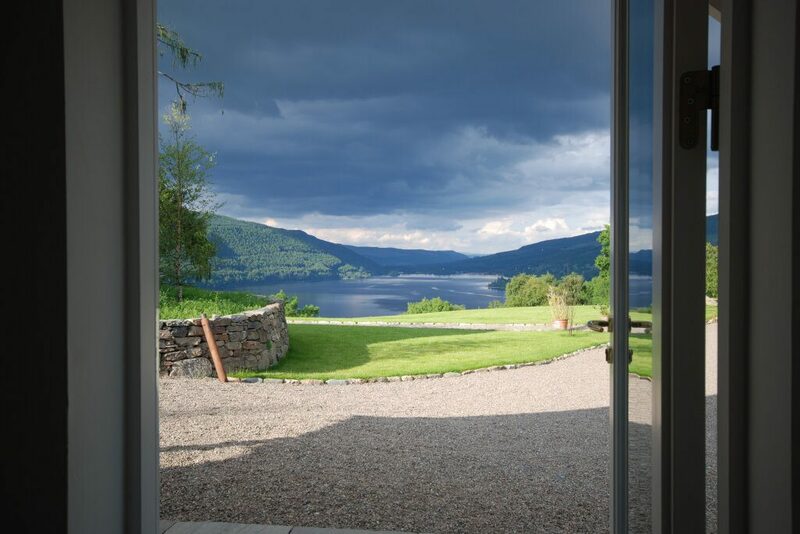 She provided lots of nice touches - prosecco, chocolates, bread which was just... read moreSky Cottage is perfectly located overlooking Loch Tay - what an absolute joy to wake up to that view each morning. And it is also very peaceful, surrounded by greenery and nature. Nina was very prompt with her communication and gave detailed information and directions to the cottage. She provided lots of nice touches - prosecco, chocolates, bread which was just lovely.